Apache DataFu is a collection of well-tested libraries for data mining and statistics. It has two parts – one for Apache Pig, which is a collection of user-defined functions for Apache Pig and second part is Hourglass, which is an incremental processing framework for Apache Hadoop in MapReduce. Apache DataFu for Pig is a collection of useful user-defined functions for data analysis in Apache Pig. It has been used by production workflows at LinkedIn. 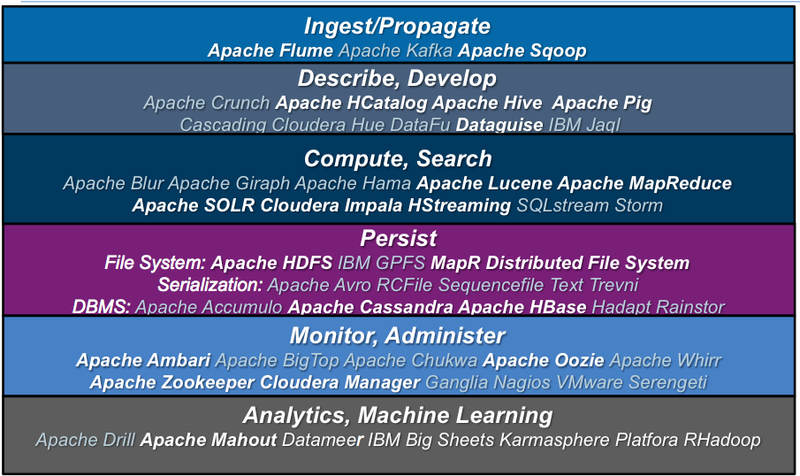 It is also included in Cloudera’s CDH and Apache Bigtop. Here is Guide on How to Install Apache DataFu on Debian System. Official Wiki provides examples of how to of functions for Statistics (median, quantiles, variance), Bag Operations (join, prepend, append, count items, concat), Set Operations (set intersection, union, difference), Sessions (sessionize streams of data), Sampling (random sample with/without replacement, weighted sample), Hashing (SHA and MD5), Link Analysis and so on. On our website, guides are intended to be installed on own server original Apache repositories. So the user should have a running system with Apache Hadoop installed, with Apache Pig, with Apache Bigtop. We are not showing the commands to install and configure Java, Bash profile for them. Register the JAR. Replace the version string with the current DataFu and CDH version numbers. This Article Has Been Shared 2454 Times! Cite this article as: Abhishek Ghosh, "How to Install Apache DataFu (DataFu Pig, DataFu Hourglass)," in The Customize Windows, June 2, 2018, April 21, 2019, https://thecustomizewindows.com/2018/06/how-to-install-apache-datafu-datafu-pig-datafu-hourglass/.